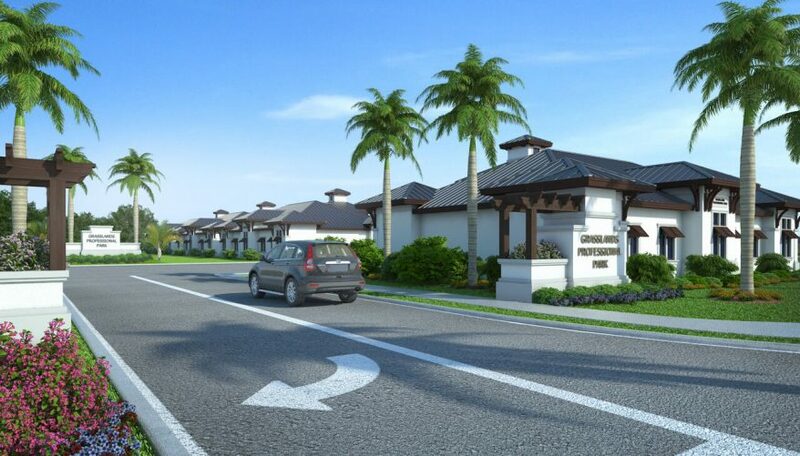 Commercial Architect, Medical Office Project Design, Lakeland, FL. Grasslands Professional Park located in Lakeland, Florida is a 36,000 square feet medical office complex consisting of twelve one story buildings that are 3,000 square feet each. The complex resides on a 4.33-acre site accommodating 119 parking spaces. Weber Design Group introduced a popular transitional West Indies style from Southwest Florida to the Central Florida and the style has been very well received in the area.